Getting a business off the ground can be a significant investment. 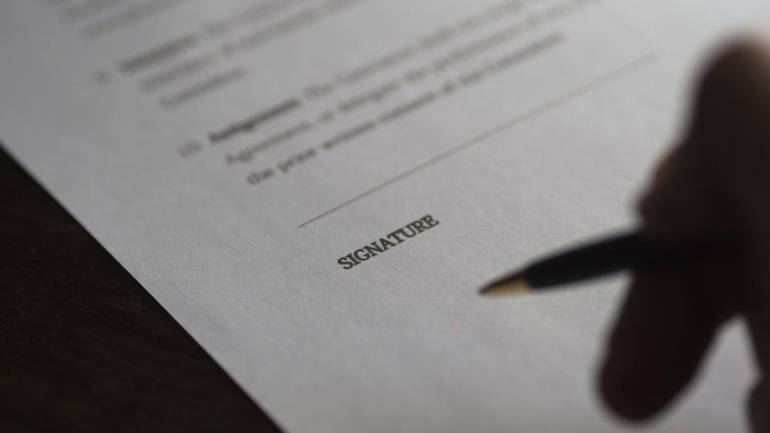 A shareholders agreement is the strongest legal protection you can have to safeguard your investment and relationship with your co-founders, investors and ultimately your employees and customers/clients. The first thing you need to know about a shareholders agreement is that it is a contract. Unlike the company Articles, shareholders agreements are treated like a regular commercial contract. Whatever you put in there will become a contractual obligation, signed and sealed. The advantage of this is that you will be able to claim contractual remedies if things with your co-founders take a turn for the worse. A shareholders agreement can lay some ground rules for the day-to-day management of your Company. You can establish how much of a say you and your co-founders have in decision-making and you can even shift certain responsibilities to the shareholders that would normally belong to the directors. By providing for specialized duties for each of the co-founders you can guard against role-confusion and make sure that everyone is pulling their own weight. You can set out how often co-founders will meet to discuss progress and plans, and what each is responsible for. You can link these responsibilities to penalties where obligations have not been met. If your company would fall flat on its face if one of the co-founders left during the early years, you may wish to include vesting provisions in your shareholders agreement. Vesting provisions can be used to specify a minimum amount of time a co-founder or employee remains with the company before they are entitled to take their shares. By including these sorts of provisions, you can incentivize putting time and effort into growing the company. It is so important to establish a workable quorum for major decisions, as is having a system in place to resolve deadlocks. By having a shareholders agreement in place you can set out voting requirements that fit with whatever ownership split you have in place. One thing that is often very important to shareholders is imposing restrictions on who can own shares in the company. You can actually control who can become a shareholder in the company by setting out how shares must be transferred in the shareholders agreement. You can do this by including a requirement that shares are offered to the original shareholders before any outside party, or you can include a description of undesirable shareholders, such as competitors. By doing this you can impose some quality control on parties wishing to buy into your company, and also make sure your own shareholding is not diluted. What happens when a co-founder defaults on one of their responsibilities? What happens if a co-founder wants to take over the company, or leave it entirely? Your business is dynamic, and it always will be. You can’t predict the future but a shareholders agreement can help buffer against rude changes. What happens when a shareholder dies or retires? None of us have a crystal ball, but the advantage of having a shareholders agreement in place is that you can plan for almost any event. This will include setting out dispute resolution procedures, mandatory sale procedures, and also valuation mechanisms. What if your company cannot get bank financing and needs additional funds? One of the advantages of having a shareholders agreement in place is that you can actually require shareholders to contribute additional funding in certain situations or to guarantee loans. The process of building a shareholders agreement will force you to have some really important conversations with your co-founders that I can guarantee will flush out issues you may not even have thought of. It will also guarantee that everyone is on the same page going forward. For many, the shareholders agreement is going to be one of the most complicated legals they have in place. For this reason I recommend engaging a business lawyer to guide you through this process.